On Sunday 26 August, Bevan Christensen peacefully took his leave of us at Selangor Hospital. Many people in Montville, Flaxton and Mapleton knew Bevan. He was erudite, musically talented and a kind and gentle man. At 98 years of age he’d lived a remarkably full life, not just doing what many of us do – having children, being married, working and travelling – but filling his spare time and retirement years with music and heavy involvement within the local community. Bevan was known for his strong sense of community and his musical talent – he started learning the piano at the age of eight and played the organ for many years for various Mason Lodges as well as other events. He was a Freemason for nearly 70 years. 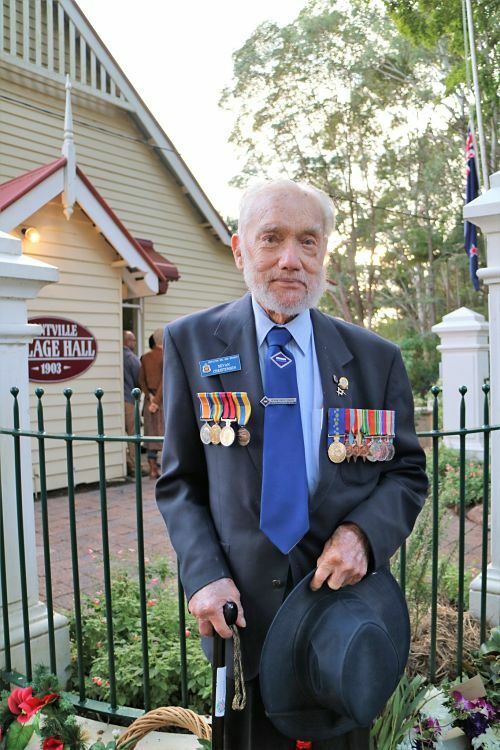 And for his kindness and strong belief in community he was, in 2011, awarded the Order of Australia medal (OAM), for his service to the community, particularly as an organist for Masonic Lodges. His funeral will be held on Wednesday 5 September at Gregson and Weight Funeral Directors, 34 National Park Rd, Nambour at 11am.